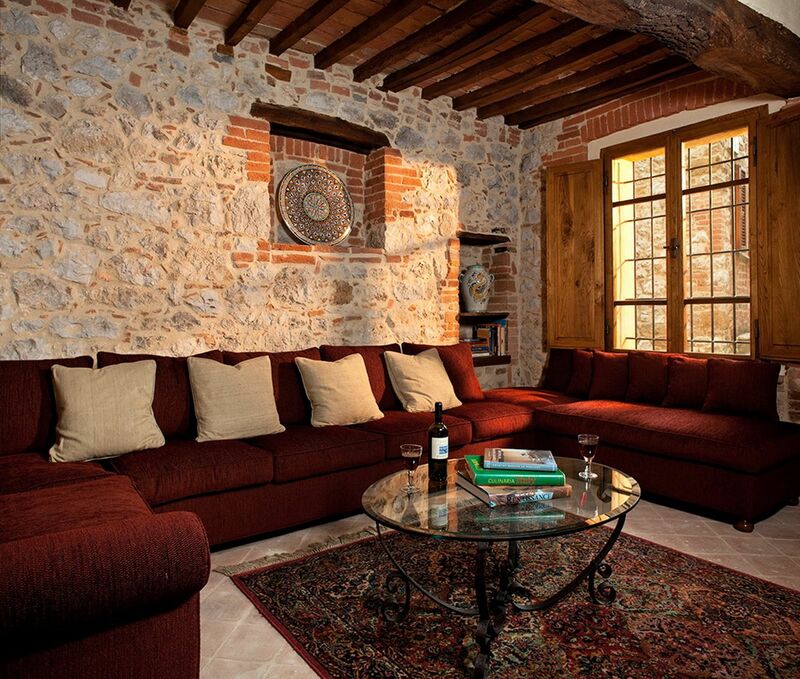 The living room occupies a cantina that was originally used for making wine. 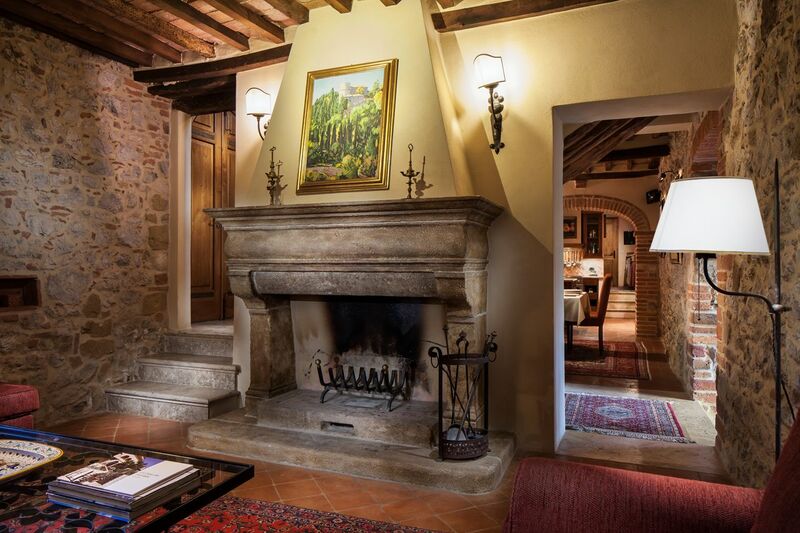 Today it is the ideal place to gather your friends for a glass of wine in the evening or to curl up with your favorite book in front of the hand carved travertine fireplace. 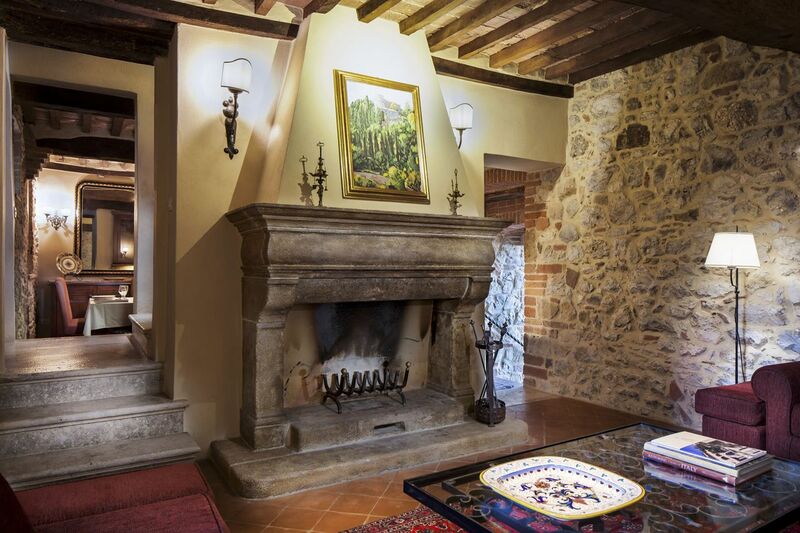 This room is in one of the oldest parts of the house, its west wall being part of the 12th century city wall. The artwork is by local artists.